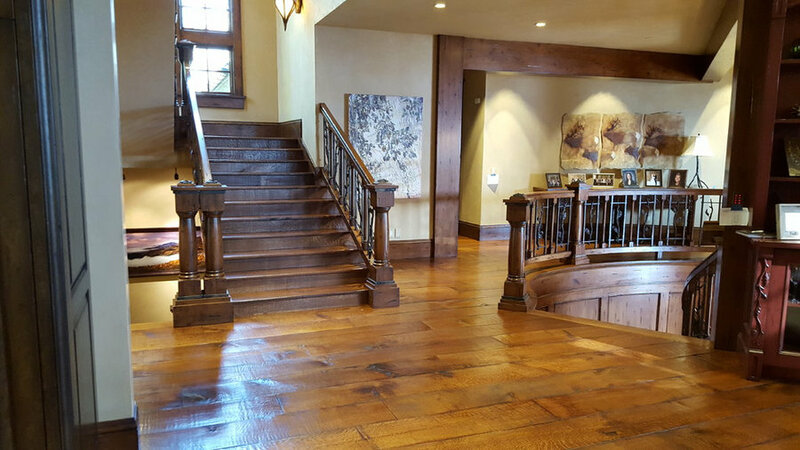 This wide-plank, rift- and quarter-sawn Richard Marshall white oak floor in Deer Valley is mountain elegance defined. Subtle hand-scraping provides a worn-in feel, and spectacular flecking is present throughout. This wide plank floor lends warmth and substance to an expansive landing area. Richard Marshall quarter sawn white oak flooring. Golden tone stain finished with multiple coats of oil and buffed until glowing. 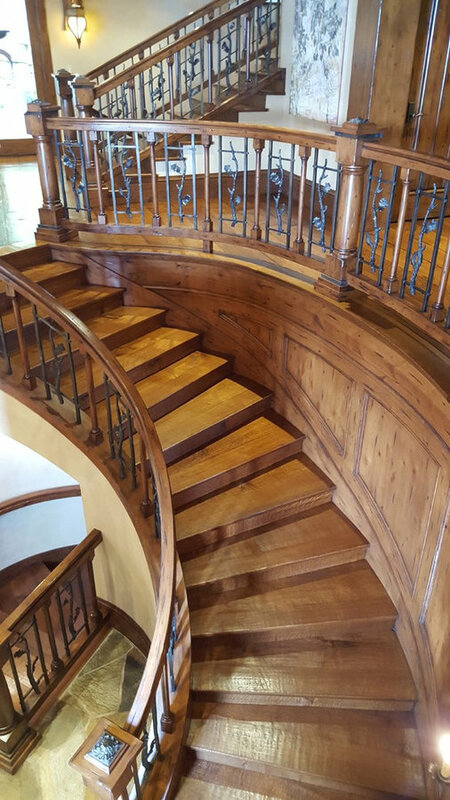 This staircase is a study in rustic elegance. Golden toned white oak stairs rise in graceful curves from level to level. These treads and risers, like the floors, are hand worked and finished with layers of oil buffed to a glowing patina. 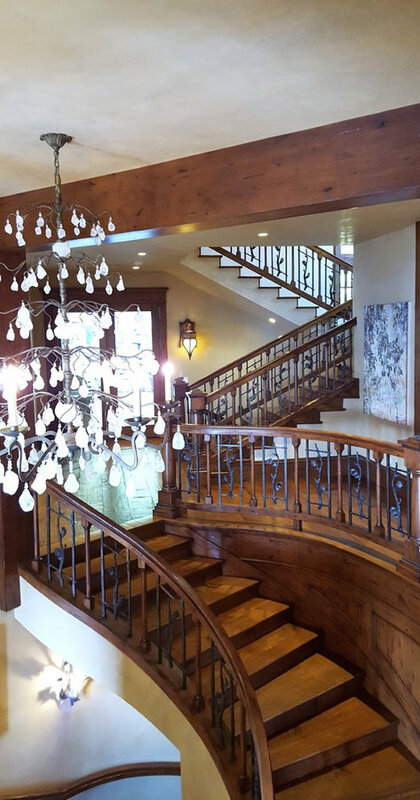 Alternate View: This staircase is a study in rustic elegance. The golden toned white oak stairs rise in graceful curves from level to level. These treads and risers, like the floor, are hand worked and finished with layers of oil buffed to a glowing patina.